In the summer of 1990 (together with the Újlak group), I participated in the Inspiration-Sommeratelier: Junge Kunst in Europa program. 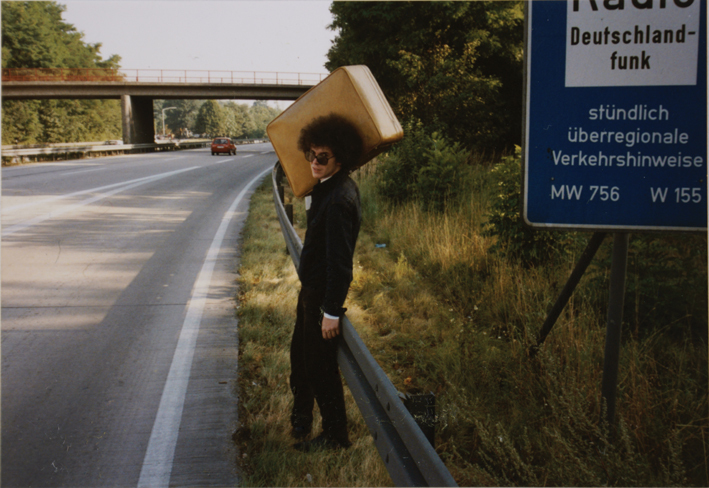 I was hitchhiking from Graz to Hannover with a friend of mine, Péter Szarka. I only took a large suitcase which was quite uncomfortable while taking those long walks waiting for a lift. 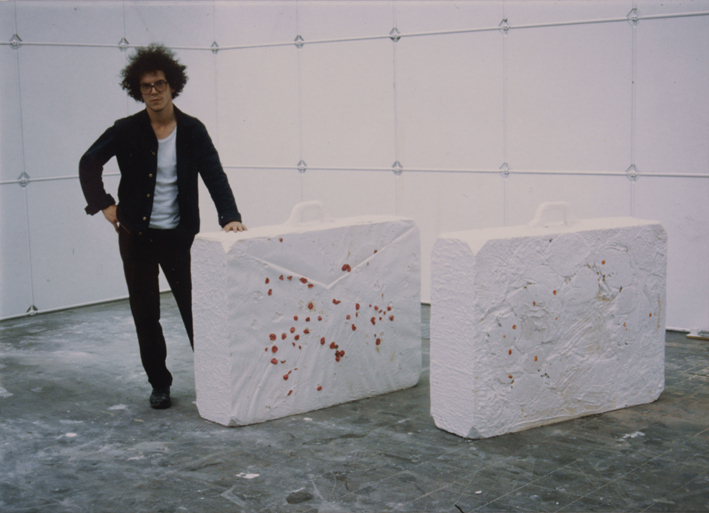 The installation consisted of two large (a little bit bigger than average) suitcases made of plaster, with some rose petals applied to their sides. The work (since the transport back to Hungary was impossible) was destroyed, and all that remains are some photos of me standing next to the suitcases with my hands on my hips. Tell me, what would you like to ask now? Mért nem akar hát tudni rólunk? Figyeltem, hogy csöpögött róla a víz. Majd én vigyázok a ruhádra.